Let The Art of Wine team host a unique wine tasting event for you, your friends and colleagues featuring wines from around the world. The Art of Wine experts will lead your group through a tasting of our unique wines. You can host a private event for up to 50 guests at The Art Of Wine. Our experts will lead your group through a tasting of our unique wines. The Art of Wine provides all necessary materials to make it a memorable event! Larger groups can definitely be accommodated, just contact us! Event Details: You can choose your own region or country of preference. The Art of Wine experts will provide a brief overview of the Winery’s history, the winemaking philosophy, and the basics of wine tasting. Requirements: The Art of Wine will provide all materials necessary to host a memorable event. We do ask that the hosting location provide a table for service. 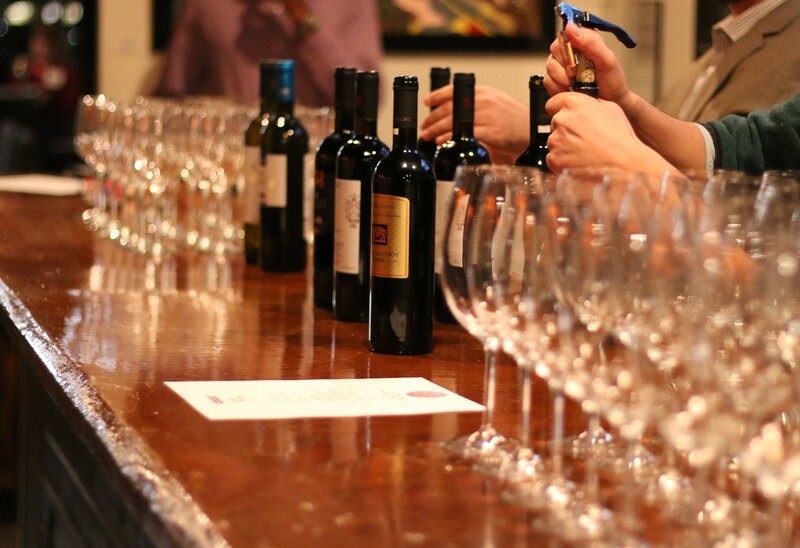 Event Pricing: Each of our Wine Tasting events will be customizable to suit your specific needs. The pricing will be dependent on the wine served and the number of attendees. A minimum of 10 attendees required for this event. Step into our winery style venue, where you’ll sample wines from around the world while learning from our experts about the sight, smell and taste of the featured wines. We have different wine tasting experiences to match your preferences. Rosé, Red, Whites and everything in between, from all parts of the world. The Art of Wine offers fine, unique, enticing wines to satisfy your taste! Wine not join us for a tasting or two? Gather your friends and family, partner, or colleagues and sign up or contact us! We are ready to provide you an amazing wine tasting experience. Offered to Wine Club Members! Join for yourself or send a prepaid gift of any length to someone special. Contact The Art of Wine staff for membership information.